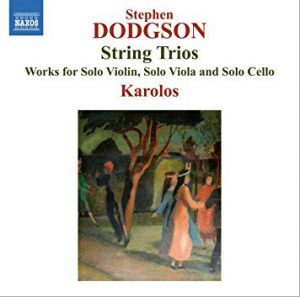 We’re delighted to announce the release of a new recording of Stephen Dodgson String Trios nos. 1 and 2 alongside his Violin Sonatina, Caprice after Puck and Cello Partita performed by the eminent UK ensemble Karolos. 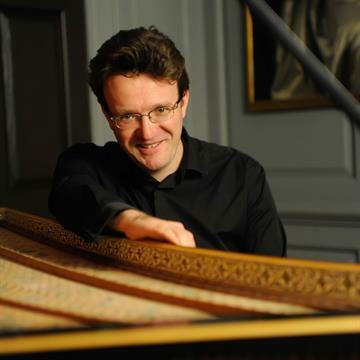 In his writing for strings, Stephen Dodgson revealed an abiding love of early music through his perceptive use of ornamentation, virtuoso displays and enthusiasm for variation form. 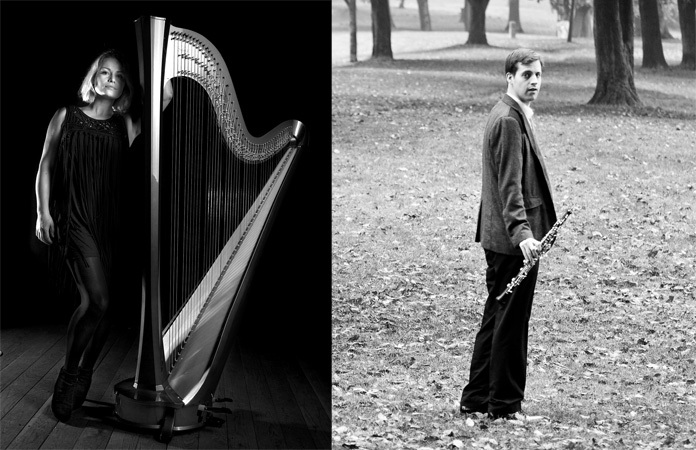 Both String Trios reflect these elements and their slow movements – hymnal in the earlier work, valedictory in the later – are especially beautiful. The Sonatina in B minor for solo violin is simultaneously a tribute to Bach and a statement of Dodgson’s own musical identity, while the very different Caprice after Puck offers a complex exploration of the hobgoblin’s sinister pranks.